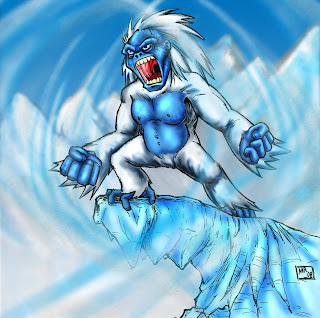 Blizzard remained trapped in the heart of a vast glacier, trapped millions of years ago by the wizard Balsafas, until the day came when the great cataclysm awakened him once more. He descended from his high cliffs to engage the other gods in battle, in order to undo the damage done to the Urth and nurture the remnants of mankind. 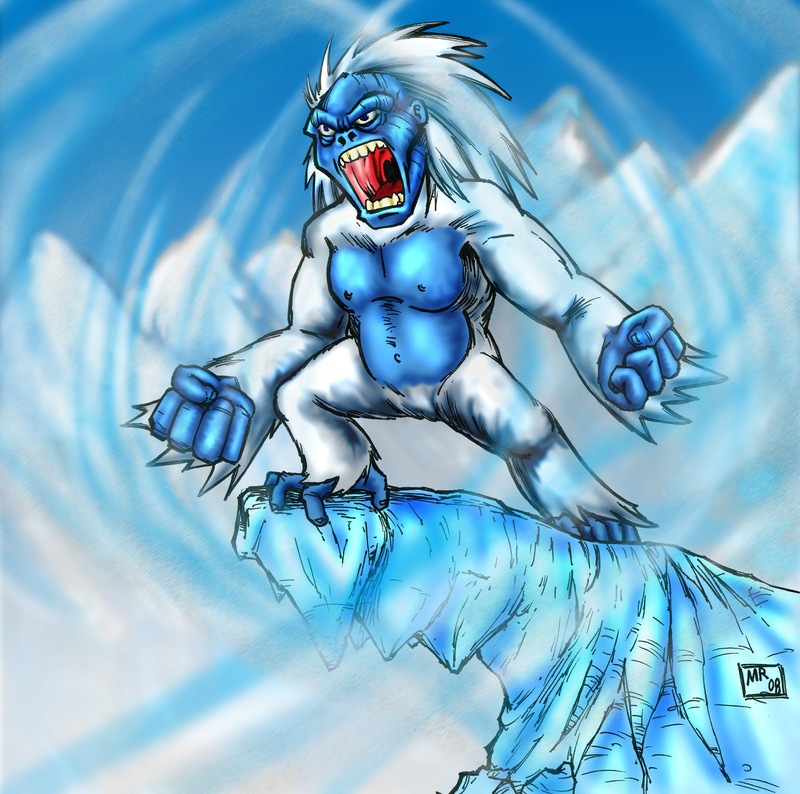 Blizzard is a character from the video game Primal Rage. (c) Atari games.